Give a life time memory of a personal unique experience at New Zealand's most luxurious lodges. 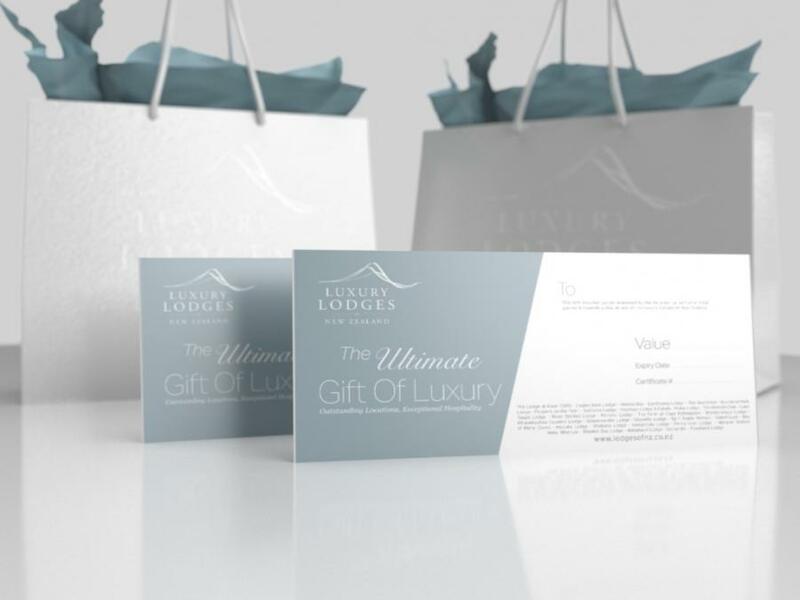 Vouchers can be redeemed at any of our Luxury Lodge locations with dates to suit the recipient. Experiencing a stay at one of the prestigious Lodges of New Zealand is a highlight for even the most well travelled and you can give that experience in the form of a Gift Voucher to a value of your choice. A Luxury Lodges of New Zealand Gift Voucher guarantees that your recipient will receive a unique gift, tailor made to suit them. Lodges of New Zealand vouchers can be used as part or total payment towards a stay at one of the Lodges and what better way to give someone a special treat to celebrate an important event or perhaps as a thank you to someone special. You can select the value of each voucher and each is created individually so you are able to add a personalised message. A perfect choice for birthdays, anniversaries, wedding gifts and honeymoons. Each voucher is specially designed with the recipients name. Corporate vouchers are also available incorporating your logo ideal as a rewards or incentive for staff and clients. Voucher values are in New Zealand dollars and inclusive of 15% goods and services tax (GST). Vouchers are delivered free by standard mail to either your address or the gift recipient’s address and can be sent overseas. Need more information? Have questions? Feel free to contact us to discuss your voucher, gift registry or incentive needs and ideas. We would love to help!